This 6 mm rose quartz mala design combines two of the most powerful heart stones, Rose Quartz and Rhodonite, in a mala that is a meditation on love. 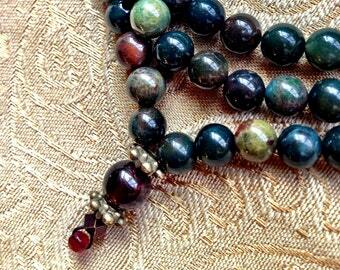 It's made of 6 mm, pale pink rose quartz with 8mm rhodonite beads. What could be more helpful today than unconditional love, both for oneself and all others? 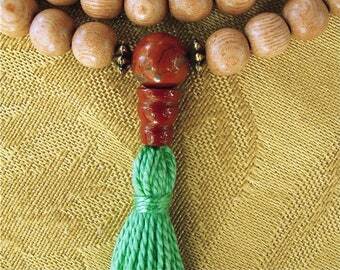 This is a traditional Tibetan-style Buddhist mala, with 111 beads. The reason for 111 is that 3 are added to the traditional 108 for good measure. If you’ve been distracted during any of your prayers or mantras, you’re covered by saying the extra number. 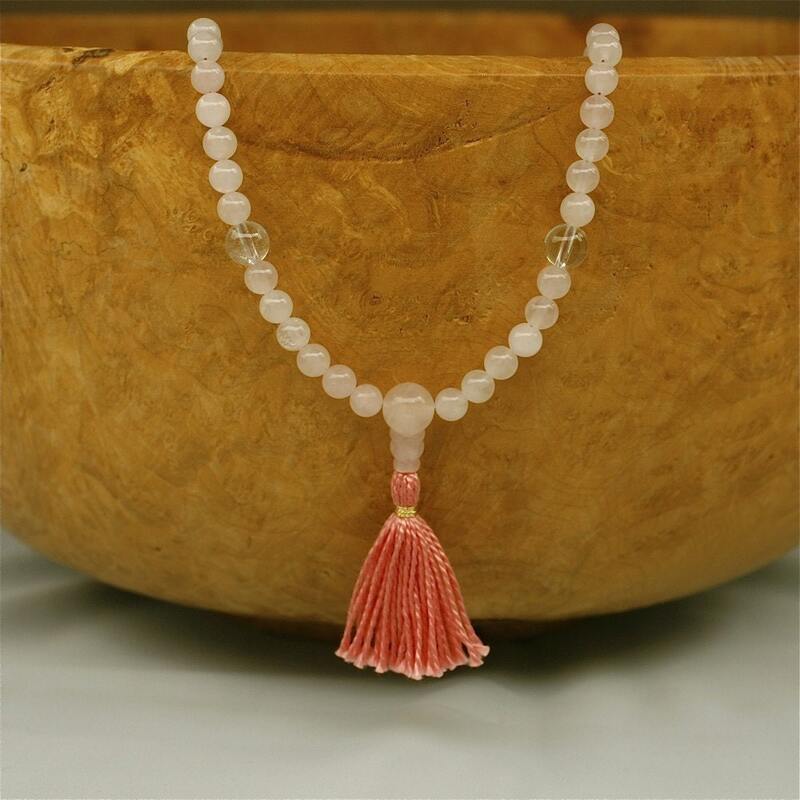 It is finished with a symbolic three-holed guru bead of rose quartz and a deep rose pink cotton tassel with a wrap of gold thread. Strung on durable yet soft nylon-coated beading wire. 15 ½ inches long from top to bottom, or just over 39 centimeters. 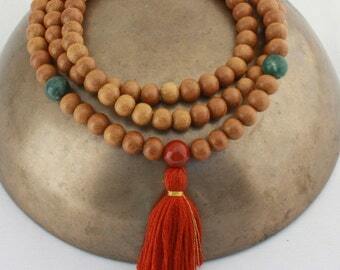 This is a small mala, big enough to be a short necklace on an average-sized woman.